For better or worse, the Internet has forever changed the ways in which we “do science.” When was the last time you used one of these? As technology progresses, we take the good with the bad and make the most of it – hopefully usually finding that progress makes our work more efficient or more interesting. One of the latest gifts that the Internet has bestowed upon the field of Science is the concept of crowdfunding. Crowd what? Crowdfunding is the process of putting your idea “out there” and seeking financial support from the “people of the Internet.” Whether you want to provide suits for “Occupy Wall Street” protesters as a means of ‘tactical camouflage’ or send TARDIS into orbit in celebration of the 50th Anniversary of Dr. Who, you can share your idea with the world and it would appear that the world will help you make your idea a reality. In times of Government shut downs and research funding cuts, could crowdfunding be the answer to getting your latest study up and running? The latest start-up crowdfunding site, Experiment.com, thinks that the answer to that question is a resounding “yes” and the young founders (who all live together in a 1-bedroom apartment in San Francisco) believe that they will change the way the world sees and does science. The concept behind Experiment.com is simple. Describe your research, create a budget, post it online, and then watch as money begins to flow through cyberspace right into your new research fund. The reality of the process is somewhat different and much more complex and time consuming, as I have recently learned by trying my own hand at the Crowdfunding Science Game. Banish your inner grant reviewer for a moment and just allow yourself to believe that all projects posted to Experiment.com are valid and worthy projects (we can discuss the veracity of this statement later). The process of seeking funding for your project online through a site like Experiment.com brings with it many pros and cons. Pro: Within as little as a month you could have the funds you need to get your project up and running – not many other sources of research funds can offer you that kind of turn around time. In fact, the maximum amount of time you can run a campaign on Experiment.com is 90 days, which still beats out the majority of more formal/traditional sources of funding. Con: The funding is “all or nothing,” which means that if you don’t reach your goal in the set amount of time, you get nothing and the time you spent on the campaign has potentially been wasted. One's ultimate opinion of crowdfunding a science project might rest on whether or not their campaign results in success! If you're successful in meeting your goal, then you will likely think it’s the greatest thing since Google Scholar. If you are not successful, you will probably have a more dismal view and wonder how many grant applications you could have written in the time that you spent switching your academic researcher hat for the awkward, poorly fitting PR fundraiser hat. However you might feel about crowdfunding, I do think that it has a future – maybe it isn’t the best way to fund your multi-million dollar project, but it is most definitely a great new way to fund student research projects. While it might be difficult for established researchers to keep hitting up their social network over and over again to fund each new study they run, it is probably much more feasible for students to successfully hit up their own social networks to raise the much smaller amounts required to run honours and graduate student research projects. Of course, this doesn’t mean I don’t think you should give it a shot for your own research, at least once! But let’s get back to the elephant in the room: Peer Review. Our whole system of academia functions on peer review, again, for better or for worse, but usually for the better. Sure, it’s great that sites like Experiment.com are getting people outside of academia interested and involved with science research and it’s even better that they are opening doors for individuals outside of the academy’s ivory towers to conduct research, but shouldn’t we still be worried about the quality of the research? What if we are asking people to give money to research that is poorly conceived? Worse, what if we are asking people to give money to research that could ultimately prove damaging in some way? These are questions yet to be completely resolved by sites like Experiment.com, but they are not oblivious to the issue and the wheels are turning as we speak (read, blog?). Experiment.com is currently working on implementing a peer review process, which will begin with researchers on the site reviewing other projects posted to the site. That’s a start, but of course there could be some inherent biases involved. Should I give the other project a bad review because they are essentially my competition? Or should I give them a good review because then maybe they’ll cross-donate to my project or because I want the site to be successful in general? Hopefully people will be more objective and simply provide balanced opinions of the projects they review. 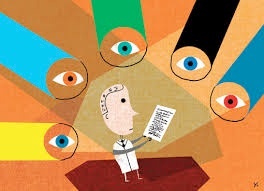 In my opinion, once peer review is added to the process, crowdfunding for science could become an excellent opportunity for researchers and the public alike. A great number of research proposals that get rejected do not get rejected because they were awful pieces of stupidity that didn’t stand a chance of contributing to our knowledge base. Many proposals get rejected because the money ran out. One year your score of 4.2 might get you the multi-million dollar grant and the next year your score of 4.8 might get you a rejection letter. If sites like Experiment.com put all prospective studies through a peer review and only post the ones that are deemed viable, they might be able to remove the element of “the money running out” and give each peer reviewed study a chance to raise the funds they need. Of course, there’s also the question of whether crowdfunding could lead to inequalities in research funding (because we know that the current structures of funding never lead to inequalities). What if only the ‘cool’ and ‘hip’ studies get funded? It’s possible. But so far, in taking a look at the projects that have been funded through Experiment.com, that doesn’t seem to be the case. A study on Rove Beatles entitled “Lucid key to staphylinidae subfamilies” successfully met and surpassed its goal of $2200. A study seeking a process of delaying the onset of genetic prion disease more than doubled its original goal of $8000. One of the most successful campaigns on Experiment.com to date raised 576% of its goal to investigate how spammers harvest email addresses. Everything from electric cars, to insect research, to pet therapy, to language development to sorority rejection and beyond has been successfully funded on the Experiment.com website. Many of the topics do not seem to be all that “hip” or “cool,” but then again, that could also be the beauty of the Internet at work. Somewhere in cyberspace there are a bunch of people very concerned about the American Pika and 15 of them collectively donated $2000 to help research understand how it is being impacted by climate change. Over 200 people donated more than $20k to a study attempting to compare diesel and coal trains with respect to impact on air quality. Thus, while some studies certainly seem to hit on key topics of public interest, such as climate change and the environment, there doesn’t yet seem to be a pattern of only the ‘cool’ kids being successful. To see the variety of projects that have been successfully funded to date, click here. While posting your research idea on a crowdfunding site can certainly bring up the fear that someone will see it and beat you to the punch, there is also a silver lining in putting your research out there for the world to see BEFORE actually conducting the research. Researchers usually don’t talk to reporters until after their study has been published. In fact, most journalists don’t want to talk to us until we can show them a shiny new journal article to back up what we are saying. Despite this, I’ve managed to get more than a handful to talk to me about my study that has not yet begun and as a result, the conversations have lead to improvements in my study’s design. Usually if reporters ask a question about something that we didn’t look at, all we can say is…. “that’s an interesting question, perhaps I’ll examine that in a future study…” or…. “our study didn’t quite look at that, so I can’t comment on how xyz might work in abc.” Of course we always do our best to design comprehensive studies, to fill in all the gaps before we begin, but we also always miss something. Putting your research out there and then having to actively campaign for it over a period of three months makes you even more intimately aware of the nooks and crannies of your design than you are after writing a lengthy grant application. Opening yourself and your study up to scrutiny from others, and especially from non-scientists, leads to intriguing and creative questions that can ultimately improve your study before you even begin. I somewhat feel as though I have now had a giant international focus group contribute to the design of my study, and as a result, the study will be better and will answer more questions; questions that normally would have been left for the “future directions” section of the resulting journal article. In addition to improving your design, the process is also one of community building. Should you stop applying for grants from the Government and other research institutes? No, of course not. Will crowdfunding become the leading source of scientific research funding? Not likely. Is it worth a shot? I think so – but then again, maybe I'm biased because my campaign had a positive outcome! As scientists, we are creative and curious creatures. Our entire careers (and usually even our lives) are structured around developing novel ideals, being creative and finding unique solutions for a variety of problems. Yet for all the creativity that we put into our research, we sometimes come up short when it comes to ‘looking outside the box’ in other aspects of our careers. Why do we only apply to specific places for funding? Because that’s what we’ve always done, that’s what everyone does, and that’s what will look good on our C.V.s? That doesn’t sound very creative or innovative. Breathe new life into your research lab, step out onto a limb, challenge the system and crowdfund your next study! Okay, maybe it’s not quite as revolutionary as it sounds, but if it means the difference between getting to run that study you’ve had on the back burner for a few semesters and never getting to, what do you have to lose? Update: The campaign was successful. I raised more than $7500 through www.Experiment.com and an additional $1000 from direct donations. But that was only the tip of the iceberg! The crowdfunding allowed me to get this important study off the ground. To date, more than 500 individuals have completed the online survey and more than 140 individuals have come in to complete the in-lab portion of the study. I've analyzed the initial data and found some very interesting findings that help inform a more detailed understanding of sexual prejudice and violence. Perhaps most significantly from the perspective of academics seeking funding though, I was able to use the study's initial success to apply for a second grant from the American Institute of Bisexuality. This grant was successful because I could already demonstrate some of the unique features of my sample and data collection that would be of interest to the Institute. This second grant has propelled the study into new and even more exciting directions. But wait - there's more! Call now in the next 30 seconds and we'll send you two crowdfunding campaigns.... no no - that's not it. The more is the amazing connections that I have made as a result of the campaign. Just this past week I was speaking on this research at the Canadian Psychological Association's 76th Annual Convention and one of my original crowdfunding backers came to hear me speak! What's more, the symposium that I organized for the conference included another speaker whom I also met as a result of the crowdfunding campaign. They donated, we became Facebook friends, and now we are regular collaborators and colleagues. I even roped her into being the treasurer for our section of CPA! All of this, made possible by the process of crowdfunding! So should you do it? Yes. Emphatically, Yes.